Vote For 6 diamonds, 250 money, and 30 EXP Levels! 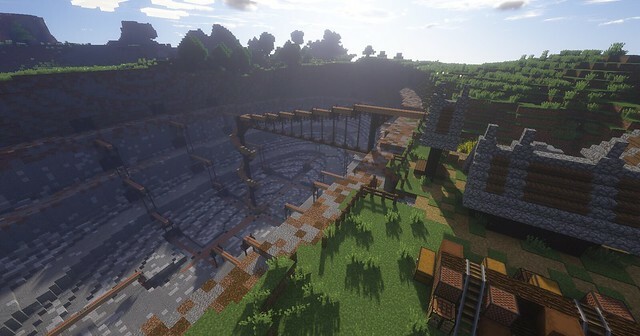 A beautifully crafted metropolis, the town of Bakersville has definitely earned the right to be a Stompzcraft Featured Town! The town is always active and progressing, with plenty of different things to do around town! 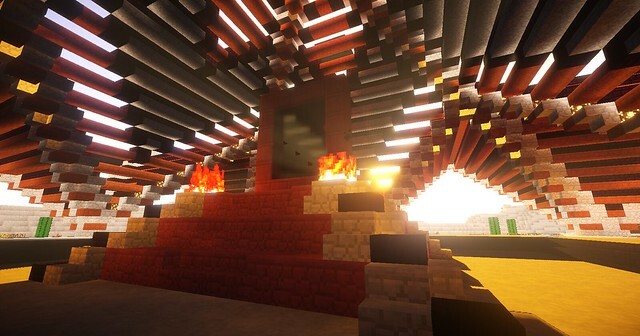 While everything north of the Equator continues to catch on fire, the StompzCraft Monthly Update rolls on! (Tho a little later than usual due to birthday shenanigans, eheh) A special thank you to MikeE40! He covered the site cost for the month and is just a nice lady. Give 'em a "thanks" if ya catch him in-game! Hard times have hit the market, as a substantial crash has brought a majority of shop production down by over 500%. ... with a few notable exceptions in Eggs (17,000+ sold), Sugar Cane (10,000+ sold) and Pumpkins (12,000+ sold). 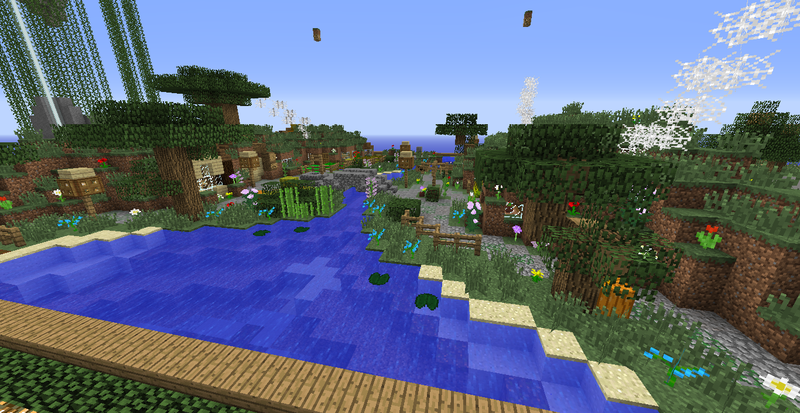 Now normally, a severe crash in the shops would be an indicator of bad times, but on StompzCraft, that's a good thing. With the (temporary) readdition of sign shops, the growing use of /auction, and other events being prioritized (such as BuildComp), our ever-fluctiating economy is starting to stabilize. Though by no means does that mean we've given up on the MarketHub; in fact, quite the opposite. Thanks to a few edits by [Devmin] DiamondExplorer5, personal quotas have now been set on the adminshops. This means that you no longer have to race to fill the chest; shop invetory is now based on each individual player, and (for now) restocks every 24 hours. Progress on chest shops is ongoing, though [Dev] Absorbed has been occupied with real life matters, including, erm... injuries. With such, I wish him a safe and swift recovery. Who knows? Maybe if we flood his inbox with some cruddy Facebook-quality posts he'll miraculously get better lol. 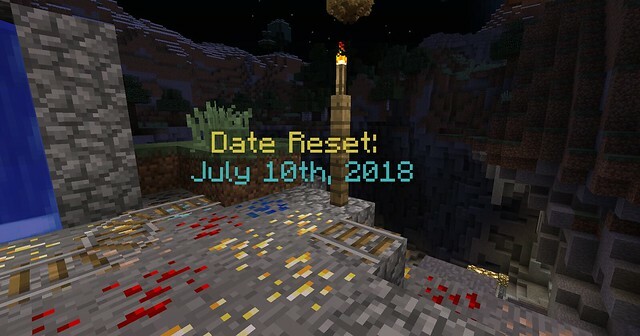 Finally, MineWorld has been reset since our last Monthly Update. Enjoy. Concept: a gap between limited sources and theoretically unlimited wants. As usual, be sure to stay posted for next month's Economy Report for all the latest updates, notices and more. /tpa commands (including /tpahere) are now available to EVERYONE!! EVERYONE (yes, everyone), from our standard [Member] rank and upwards, now has access to the commands; no longer do you guys need to rely on donators or set /warp locations to meet up! It's been a long time coming, and I couldn't be happier for you guys. Enjoy! 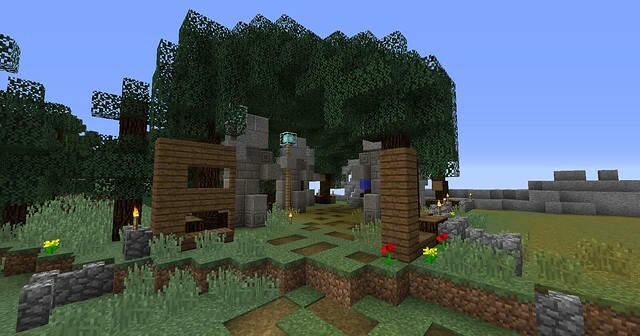 Meanwhile, Established Town Portals are finally up! 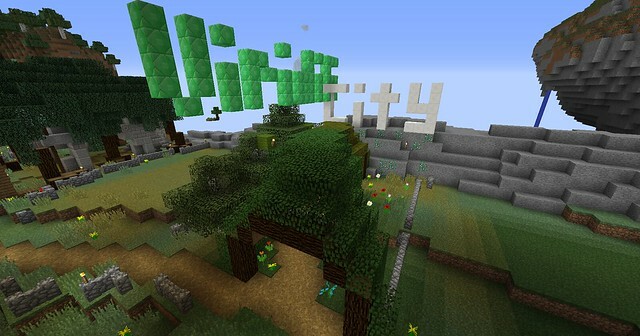 Make sure to check out Duke City, Eagles Landing and Viridis City as you stop by! Should you ever be interested in a plot, make sure your town is at least big enough and prominent enough to stand out from the crowd. Then, by the grace of [Owner] Lemo, you might be granted a plot. In other news... see this guy? Can't hide yer face from me, Sunny Jim. 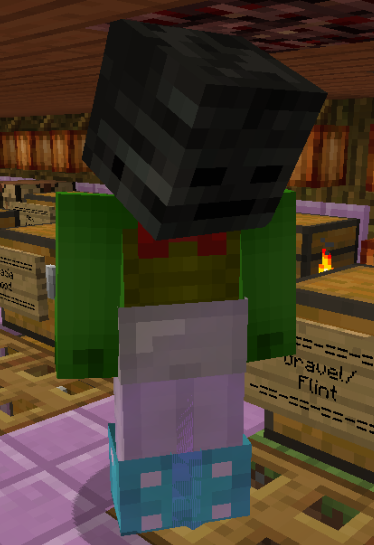 This guy with the face and the eyes and the face... Deadbook is currently our #1 in mcMMO. Now for those who don't know, mcMMO is a leveling-based perk system that improves your in-game abilities and such. He currently stands at the tippy-top of the /mcrank leaderboard... take him down. Winner gets my eternal gratitude and ultimate bragging rights, along with whatever else I can think of to reward them with. Good luck. Some of you may have noticed some significant changes have been made to mcMMO; [Mod] Pingsterr will be providing details in an extensive write-up, which should be posted soon. I've briefly mentioned it before, but BuildHub has been recieving a face-lift, at least in terms of the Buildhub outposts as of late. Spearheaded by [Mod] Eli (and assisted by yours truly, along with other staff and members), we're taking our paltry, old outposts and upgrading them into stunning, expanded outposts! 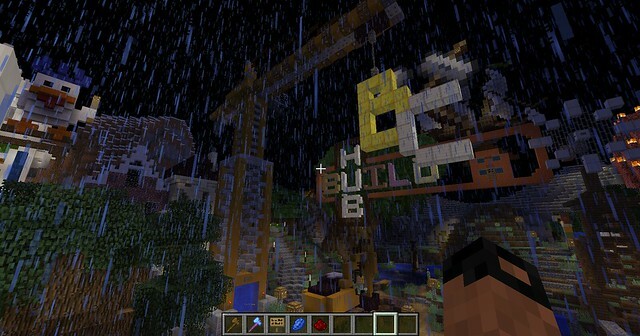 As said above, the work is ongoing, and eventually every BuildHub outpost will be affected. 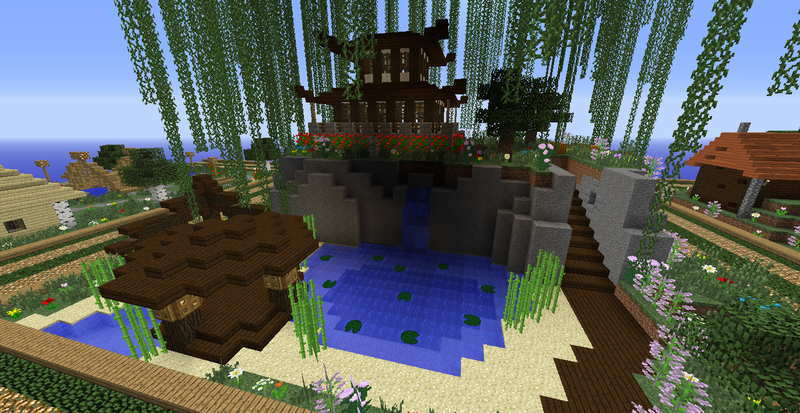 Some outposts are being changed SO RADICALLY, that-... well, we can't really disclose as of yet. 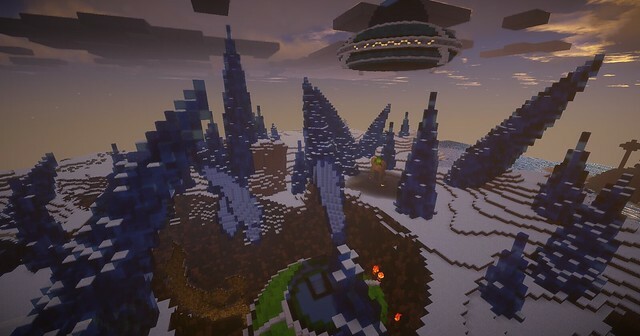 However, it's also a reason why we brought BuildComp back (which you can now visit via /warp bc or by the portal under the crane @ BuildHub); as we continually improve our outposts (and eventually, the rest of server-related cosmetics), we're still on the lookout for any potential builders out there, with impressive BuildComp results lending greatly to their cause. I personally cannot wait to see what you guys (and the building team, for that matter) come up with next. We'll keep you updated as progress continues. 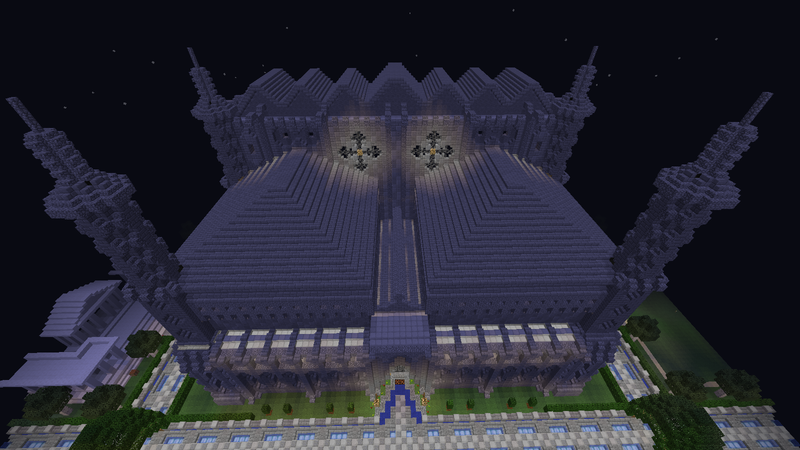 Donate to the server to help keep it running and expanding. All donations are appreciated! what version are we nowadays? D E E P .
It's nice to see you're still around, guys. WOW! My laptop caught fire a few years ago, used to always play on Stompz. So glad it's still here. Now to get a laptop. Hmm how are you logging in? 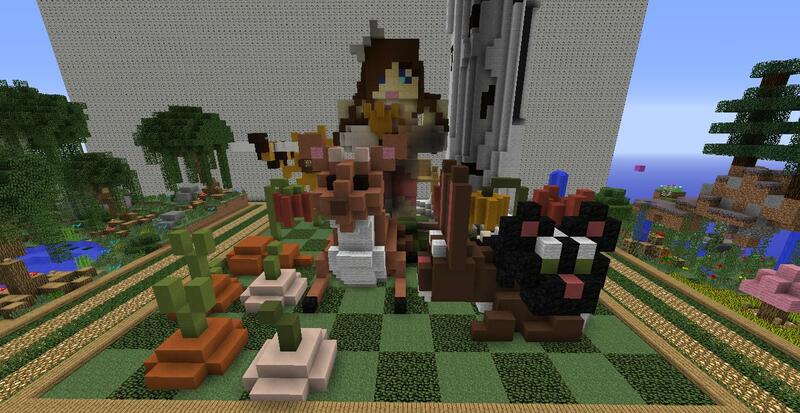 yupp, stompzcraft is still partying on! Can I have your door? So much has changed since 2014.